Just as 'greenery' - USA-based colour authority Pantone's official 'Colour of the Year' for 2017 - was incorporated everywhere from fashion to graphic design to, perhaps most notably, home decor, this year's shade of choice 'Ultra Violet' is already making an impact on some surprising industries. On the day the colour was announced, car manufacturer Nissan proclaimed their love of purple, saying "Ultra Violet might be color of the year, but Midnight Purple will always have our heart." The cosmetic industry was quick to show its love for the colour with hair carers Aveda Instagramming an electric purple hair dye, and nail polish pros Essie tagged the release of a new shade of purple ('hazydays') to the big reveal. 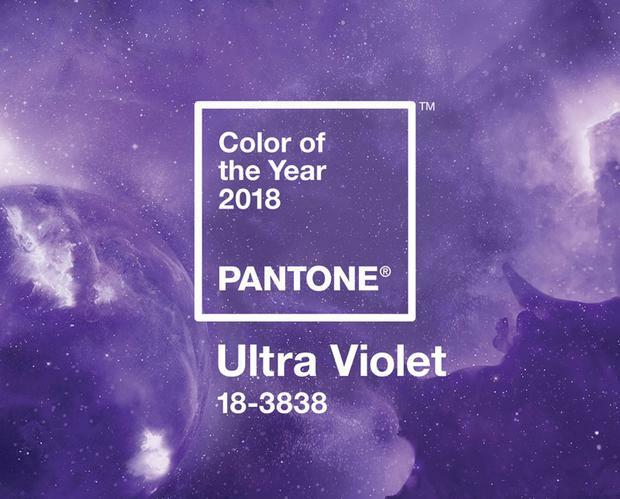 Pantone's description of the shade as "a spiritual, cosmic hue [that] pushes the boundaries of what inspires us to look upward and outward to the future" prompted a response from NASA, no less, who Tweeted their support for the shade together with some stunning photos of a starry purple sky. Described by Pantone Colour Institute as "a dramatically provocative and thoughtful purple shade," Pantone 18-3838 Ultra Violet, to give it its official name, is set to become one of the colours for weddings in 2018.
International bridesmaid dress design house Dessy is already on board, releasing their colour palettes showcasing the regal shade with some of their prettiest gúnas, as well as some gorgeous accessories from their bridesmaid and groomswear range. From an amethyst engagement ring to big bright bouquets of lavender, lilac and deep purple orchids, Ultra Violet is an easy shade to build a wedding colour palette on. 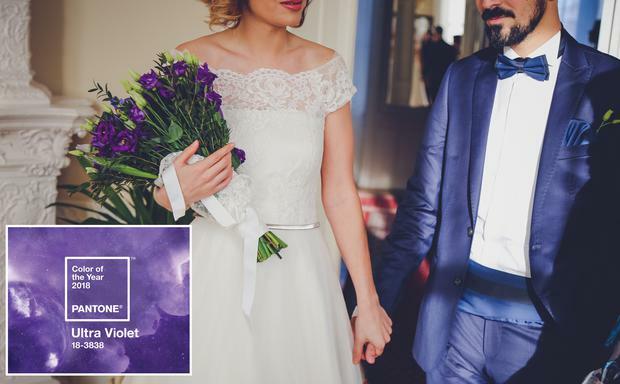 Purple has always been a popular choice for Irish weddings, but with the abundance of inspiration that's sure to come along with Pantone's announcement, a rich purple hue will no doubt become even more of a go-to. “The Pantone Color of the Year has come to mean so much more than ‘what’s trending’ in the world of design; it’s truly a reflection of what’s needed in our world today, ” said Laurie Pressman, Vice President of the Pantone Color Institute.